A thief is on the loose at Kirrin Cottage! The Famous Five think they know who it is, but they need a way to prove it. Where can they find evidence? The discovery of an old map and very unusual hiding place is all they need to get to the bottom of this mystery and uncover the true culprit! I have read this book this is the 2nd of the book in the famous five. 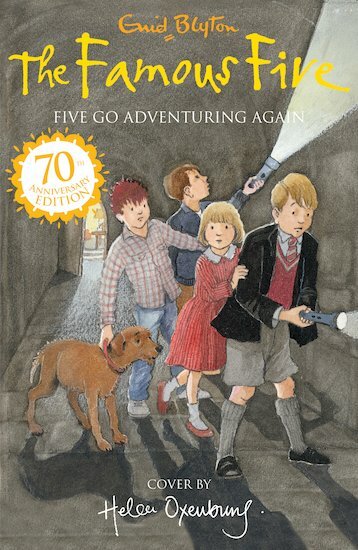 I love the famous five , especially George and her dog. I thought this book was brilliant because it was full of curious things and it was quite scary. The best thing in the book was where the Famous Five find the secret passsage in their Uncle’s study. The best character in the book was George because not only is she a tom boy that can do a lot of boyish things but can also win her own battles. This book was a tiny bit better than the first one because this was a bit more adventurous. I thougt the first one was good though. This is a book like no other.